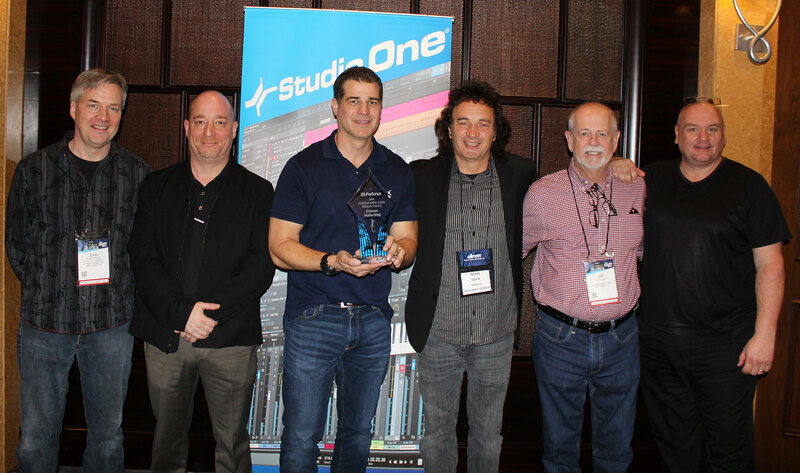 PreSonus 2018 Rep and Distributor of the Year Awards! Every year at NAMM, we like to recognize distribution partners and reps who have gone above and beyond in their support of PreSonus. Thanks to the below for leading by example, and for setting the bar so very high. 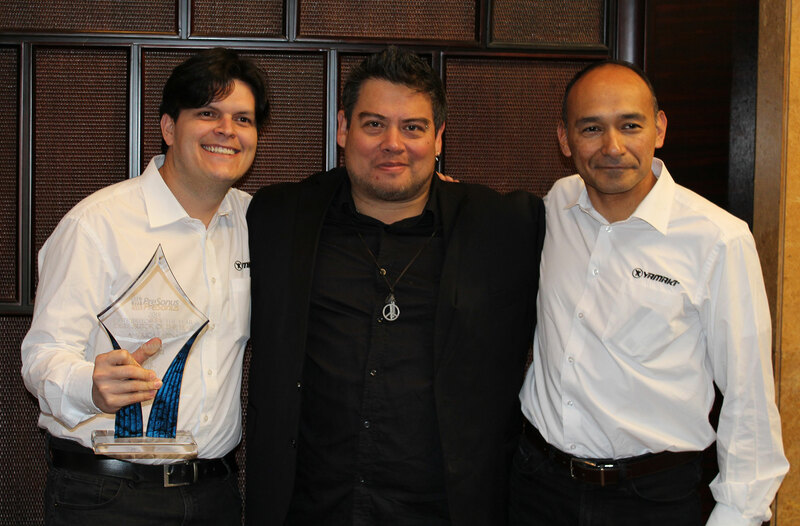 Columbia's YAMAKI wins Latin America and Caribbean Distributor of the Year for the second time! L to R: Andres Ibarra, YAMAKI; Gus Lozada, PreSonus; Oswaldo Rueda, YAMAKI. 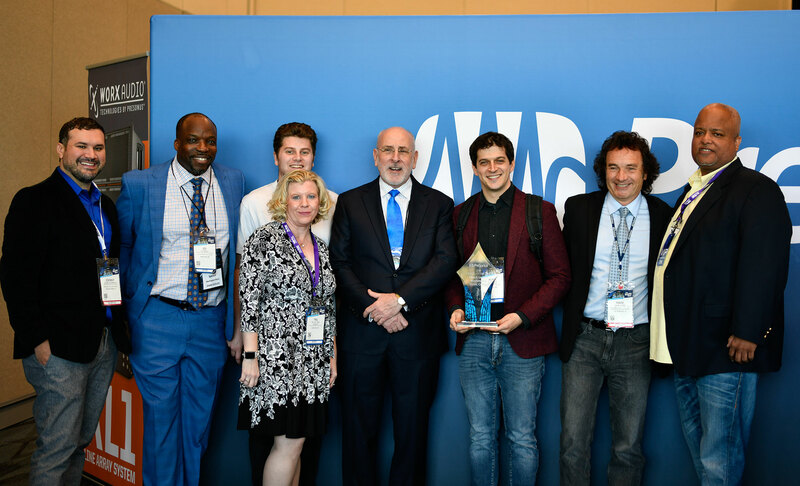 Nordic Audio Distribution AB wins EMEA Distributor of the Year for 2018! 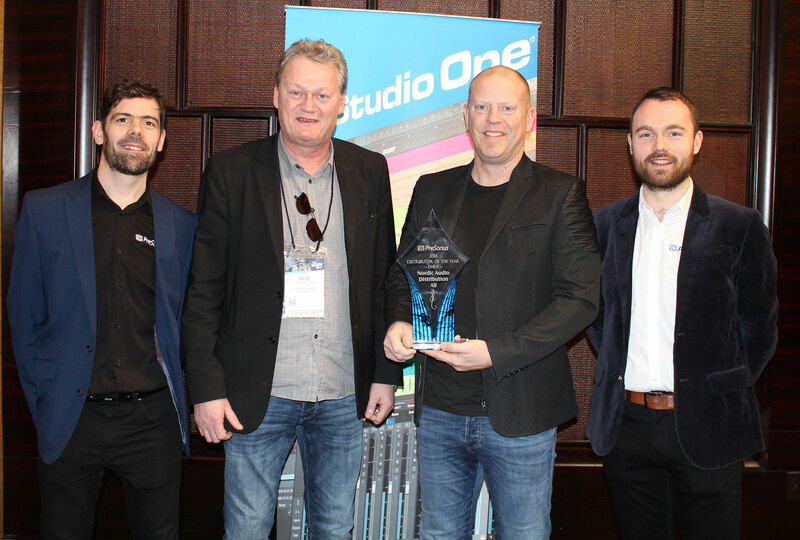 L to R: Paul Clarke, PreSonus Europe Ltd; Olle Nordstrom and Magnus Willén, Nordic Audio Distribution AB; and Eugene Greenan, PreSonus Europe Ltd.
Link Audio Pty Ltd., wins our 2018 APAC Distributor of the Year! L to R: Michael Jago, Link Audio, and Laz Harris, PreSonus. 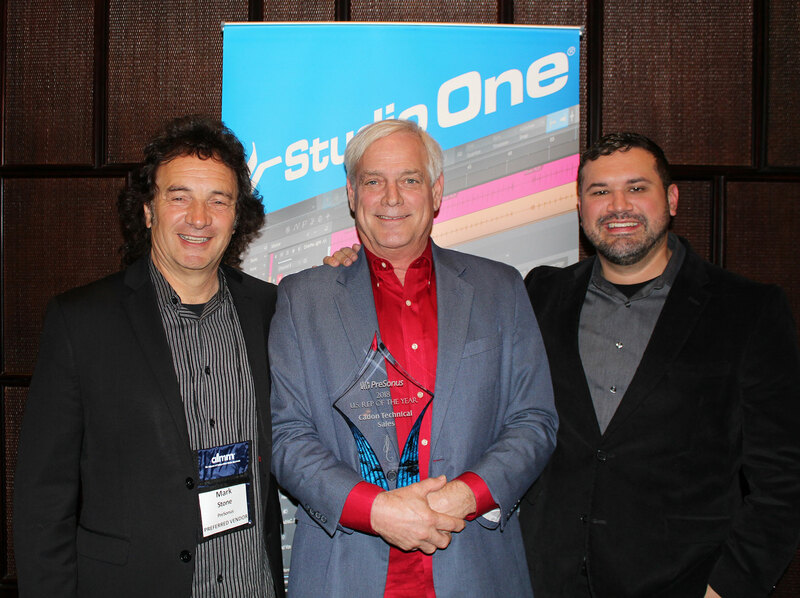 PreSonus Dealer of the Year Award goes to Chuck Levin's Washington Music Center! L to R: Johnny McAndrew, PreSonus; Ed Spence, Melody O'Neil, Alan Levin, and Adam Levin, Chuck Levin's; Mark Stone, PreSonus; Randy White, Chuck Levin's. Techrep scores PreSonus Commercial Rep of the Year for 2018! 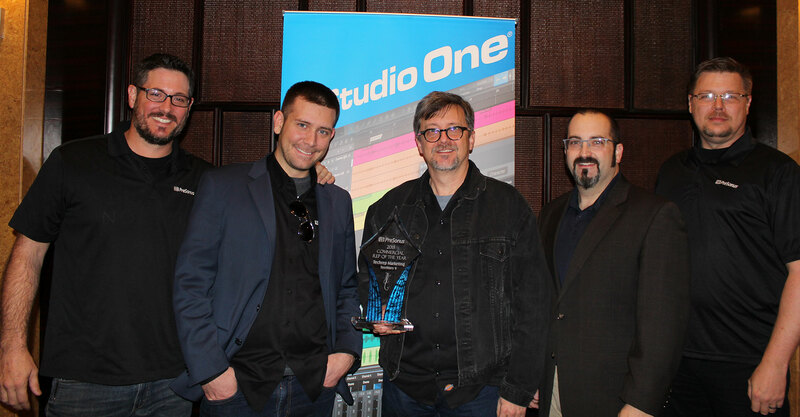 L to R: Tony Flammia, PreSonus; Evan Edmiston, Doug Roberts, and Chris Bednar, Techrep. Cowser Marketing wins PreSonus Outstanding Sales Performance for 2018! L to R: John Fedorko, Greg Labruzzi, and Brandon Bishop, Cowser Marketing; Mark Stone, PreSonus; Jim Cowser and Dave Batson, Cowser Marketing. 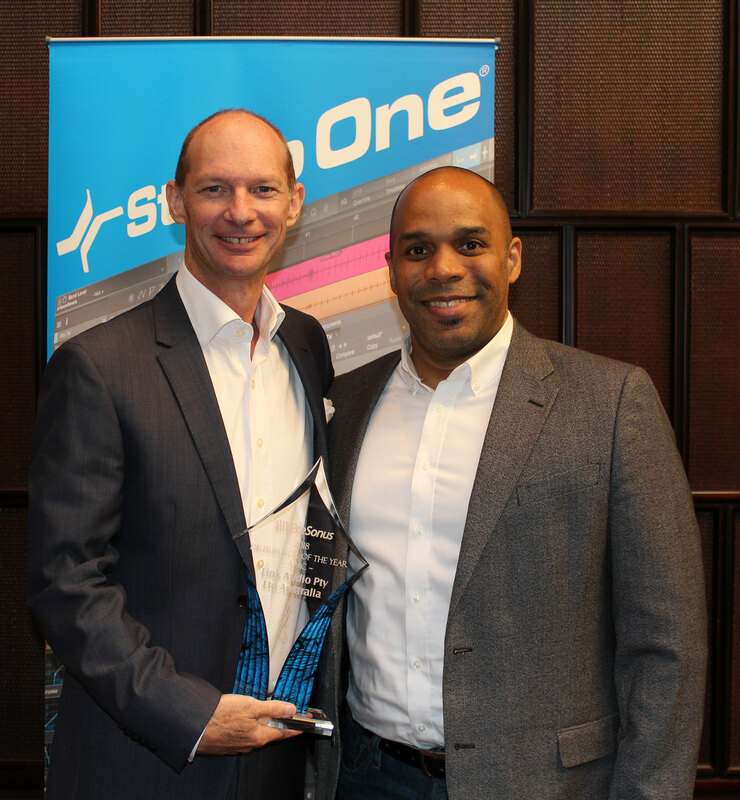 Our PreSonus U.S Rep of the Year is Michael Canning of Cadon Technical Sales! 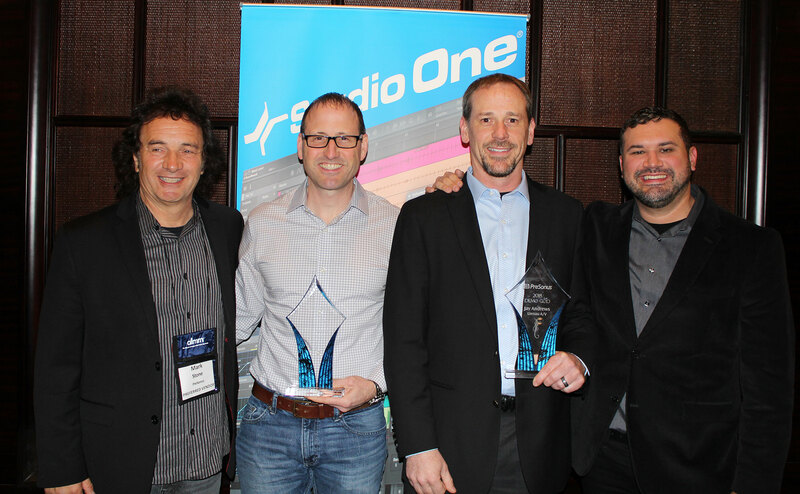 L to R: Mark Stone, PreSonus; Michael Canning, Cadon Technical Sales; Johnny McAndrew, PreSonus. Posted in Trade Shows | Comments Off on PreSonus 2018 Rep and Distributor of the Year Awards!